Mobile Labs' President & CEO Dan McFall recently joined Epic Culture Host Josh Sweeney for a podcast, "Customer Centered Culture - Why It Matters." In this interview, McFall shares what makes Mobile Labs' customer-centered culture unique and how the act of putting customers first enabled Mobile Labs to succeed and thrive in a highly competitive industry. Decision Vision Podcast: Should We Use Data Analytics in Our Business? Mobile Labs' CMO Angela Culver recently joined Micky Long of Arketi Group on a Decision Vision Podcast, Should We Use Data Analytics in Our Business?" The answer? Yes. Mobile Labs' Chief Technology Office Michael Ryan and Sr. Director of Product Marketing Steve Orlando give their advice and tips for bringing the CI/CD pipeline into mobile initiatives. SD Times: How Do You Add Value to the CI/CD Pipeline? Mobile Labs' Chief Technology Office Michael Ryan shares with SD Times how our re-engineered mobile device cloud GigaFox adds value to the CI/CD Pipeline. SD Times highlighted Mobile Labs' re-engineered mobile device cloud GigaFox in its 2019 Guide to DevOps CI/CD Tools. TEST Magazine featured a thought leadership article about mobile app testing and how a mobile device cloud makes manual testing happen in real-time from Mobile Labs' President & CEO Dan McFall in the September 2018 issue of the publication (pages 30-31). McFall explains how manual testing with a mobile device cloud results in improved device access, better interactivity and key productivity gains. SD Times interviews Mobile Labs' President & CEO Dan McFall about Mobile Labs' role in helping enterprise mobility teams excel with mobile test automation leveraging Appium. Mobile Labs' President & CEO Dan McFall was recently named as one of Insights Success' "30 Most Inspirational Business Leaders to Watch 2018." SD Times listed Mobile Labs in its 2018 guide to automated testing tools. SD Times highlighted Mobile Labs in its 2018 guide to DevOps: CI/CD Solutions. Flip to pages 34-35 in the magazine viewer to view the Buyer's Guide and accompanying articles. TEST Magazine featured a thought leadership article about improving mobile DevOps with agile testing and continuous delivery from Mobile Labs' President & CEO Dan McFall in the March 2018 issue of the publication (pages 6-7). McFall explains how test automation and continuous delivery enable enterprise mobility professionals to boost mobile DevOps. SuperbCrew features Mobile Labs' mobile device cloud. SD Times highlighted Mobile Labs in its 2018 guide to continuous testing tools. SD Times highlighted Mobile Labs' private mobile device cloud solution, deviceConnect and how it helps enterprise mobility teams manage all mobile assets from a single mobile lab. TEST Magazine featured a thought leadership article on mobile test automation leveraging Appium from Mobile Labs' President Dan McFall in the September 2017 issue of the publication (pages 12-13). McFall offers insight into three key areas that enterprise mobility teams must consider before incorporating Appium into any automated testing and continuous delivery strategy for mobile. Mobile Labs' President Dan McFall was interviewed by DevOps.com at Jenkins World 2017 in San Francisco. McFall discussed DevOps, agility and how Mobile Labs is responding to these challenges. 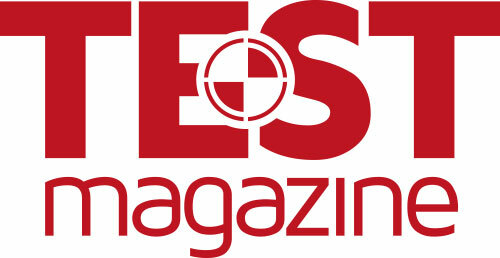 TEST Magazine featured a thought leadership article on continuous testing for mobile from Mobile Labs President Dan McFall in the May 2017 issue of the publication (pages 12-13). McFall outlines the four steps enterprise mobility teams need to take to get started building a continuous testing strategy. SD Times highlighted Mobile Labs in its report on continuous testing tools to help organizations keep up in a fast-paced agile and DevOps world. Silicon Review evaluated Mobile Labs' testing solutions helping enterprises deploy quality mobile digital experiences for Android and iOS while also managing mobile devices and access in a private, secure cloud. SD Times highlighted Mobile Labs in its report on who to follow and how to accomplish DevOps transformation. Apparel magazine shared a mobile success story from one of Mobile Labs' customer, a multinational athletic apparel and accessories company. In its September 2016 issue, Test Magazine, the leading journal for software testing and quality assurance in Europe and beyond, featured user experiences from two Mobile Labs customers, Simplyhealth and ABN AMRO Bank. 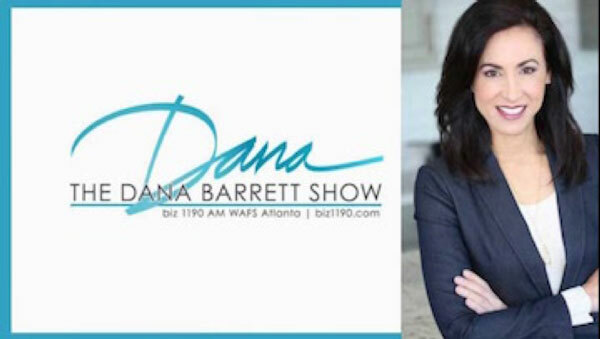 Dan McFall, Mobile Labs vice president of mobility solutions, joined Dana Barrett on The Dana Barrett Show to talk about the future of mobile and bring some clarity to the everyday listener. 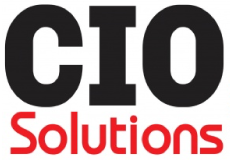 CIOReview recognizes organizations around the world that exemplify the highest level of operational and strategic excellence in information technology. The magazine selected Mobile Labs as one of the 20 Most Promising Enterprise Mobility Solution Providers of 2016 based on the company’s specialties in end-to-end enterprise mobile app testing, mobile device testing, support for multiple mobile platforms and OS’s and mobile website testing. DevOps.com explores Simplyhealth's experience using Mobile Labs' deviceConnect to manage mobile devices for testing software. Silicon Review highlighted Mobile Labs in a feature piece as the company continues to grow its market share for mobile testing solutions. Mobile Labs' Dan McFall shared the benefits of enterprises using cloud-based testing platforms. Reach Further is East West Bank's digital news magazine. Chris Dale of Simplyhealth, a U.K. health cash plan provider serving nearly 3.5 million customers, spoke with Baseline Magazine about how his company overcame the challenge of speedy app testing and delivery and enhanced its mobile application delivery with Mobile Labs' solutions. CIO Solutions Magazine featured Mobile Labs as one of the “25 IBM Solutions Providers Transforming Businesses.” The recognition comes as Mobile Labs helped IBM streamline their mobile app testing and development. SD Times team turned to Mobile Labs' Dan Mcfall, for insight on the rise of Dev-Test-Ops and its importance to IT leaders. Mobile Labs' Mike Ryan shares the benefits of a mobile testing cloud with DevOps.com readers. Mobile Labs was included as a vendor to consider in a recent SD Times Buyers Guide about software testing. SD Times, the leading news source for the software development industry, also included insights in its report from Mobile Labs testing experts Michael Ryan, CTO of Mobile Labs, and Dan McFall, vice president of mobility solutions at Mobile Labs. Mobile Labs' Don Addington talks with The Guardian about the benefits of the office in Atlanta Tech Village, a huge, thriving startup community. In their Mobile Atlanta Innovators Newsletter, the Metro Atlanta Chamber highlighted how Mobile Labs' device cloud supports rapid, continuous integration and test including mobile DevOps. Mobile Labs' Dan McFall appeared on Biz1190’s Dana Barrett Show with ACG Atlanta President Denise Boyd and MailChimp Vice President of Marketing Tom Klein to discuss the latest in mobile growth and innovation. Mobile Labs' Mike Ryan discusses testing challenges with One Million by One Million, the first global virtual accelerator, headquartered in Silicon Valley. Mobile Labs was profiled by 451 Research, an information technology research and advisory company in emerging technology segments. The report recognizes Mobile Labs for its ability to solve the testing and security challenges associated with enterprise mobile applications.